Between them, the two key EU regulators currently employ around 1,000 people in Canary Wharf. The couple were attacked because they were holding hands in the street. Two Vincent Van Gogh paintings stolen 14 years ago from the Dutch museum dedicated to his work have been recovered by Italian police in a raid on the mafia in Naples. The Van Gogh Museum in Amsterdam said the Dutch artist's paintings had been removed from their frames but appeared largely undamaged. The works, 1884's "Congregation Leaving the Reformed Church in Nuenen" and 1882's "View of the Sea at Scheveningen", are both from relatively early in Van Gogh's career. They were stolen by thieves who broke into the museum in December 2002 using a ladder before escaping by sliding down a rope. Two men were later caught and convicted of the theft but the paintings were not recovered. Italian financial police confirmed the "priceless" paintings were seized along with "assets worth tens of millions of euros" from a Camorra mafia group it said was involved in international cocaine trafficking. Van Gogh Museum director Axel Rueger hailed the surprise recovery, saying "They're safe. I no longer dared to hope that I could ever say that, after so many years." It was not immediately clear when the paintings would be returned to the museum, which is one of Amsterdam's top tourist attractions. Parts of Schiphol Airport remain closed following reports of a suspicious package. The official Twitter account for the airport has tweeted that air traffic has 'not been affected' by the incident. Part of Schiphol is not accessible due to an incident. Police is investigating the matter. For now, air traffic has not been affected. 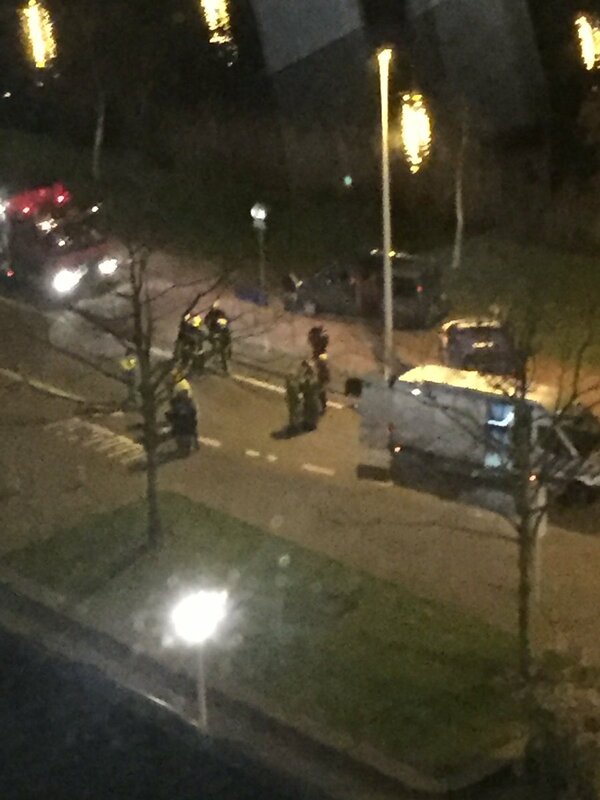 A bomb disposal robot is investigating a suspicious package at Amsterdam Airport Schiphol, according to Airlive. Hundreds have been evacuated from the commercial square in the airport and one person has been arrested, authorities say. Air traffic has so far not been affected, the airport said. 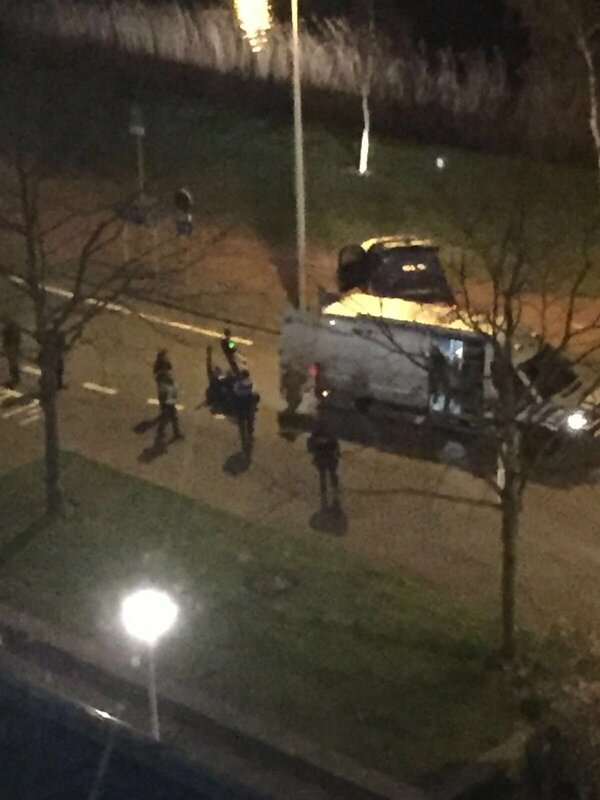 A section of Amsterdam Airport Schiphol has been evacuated after the arrest of a suspect, a spokesperson has told ITV News. Social media users report armed police are patrolling the airport and hundreds of people have been evacuated from the commercial section. A severed head has been discovered in a box that was left on the pavement outside a cafe, according to police. Dramatic footage has emerged of a mother and her toddler being rescued after their car plunged into an Amsterdam canal on Tuesday. Passengers were evacuated from Amsterdam's Schiphol airport when a British man was arrested after reportedly shouting bomb threats. The deaths of two British men found in an Amsterdam hotel room after apparently snorting white heroin are believed to have been targeted by the same dealers who sold drugs to another Briton who died in the city last month, Dutch police said. Police spokesman Rob van der Veen said investigators believe the men were targeted by the same street dealer, or ring of dealers, involved in the death of 22-year-old Joel McDevitt, from Burnley. A number of other people have become ill after snorting the heroin. We took the sample to the Dutch forensic institute and they found out that the contents of this material is the same contents as other material that we already seized in other cases where people got sick. Local authorities have advised tourists to avoid street pushers, and since October have distributed warning signs and flyers across the capital, warning that white heroin was being sold as cocaine.